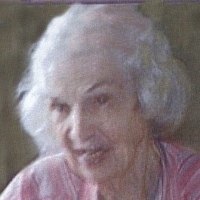 Lillian E. Howard of Naples, FL passed away on September 11th, 2018 at the age of 96. She is survived by her daughter, Suzanne Howard; grandson, Brian Kenneth Howard and his wife, Lisa Nicole; and her great granddaughter, Samantha Jean. Lillian's family extends their deep appreciation and thanks to the wonderful, caring staff and volunteers of Avow Hospice.